The Moore Sports Complex is the last arena in Ontario still operating with an outdated and potentially hazardous cooling system. The arena’s ‘direct-expansion’ ammonia system circulates the volatile gas through pipes in the floor beneath the ice surface. The same system was used in the towns of Goderich and Prescott, both of which shut down their arenas in August due to hazardous leak concerns. 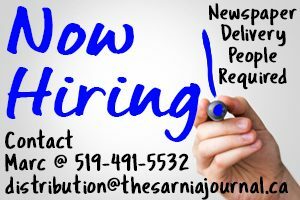 Rob Harwood, Sarnia’s Parks and Recreation director, said the vast majority of arenas have replaced the old technology with ‘indirect expansion’ systems that contain the ammonia in the refrigeration plant room, while pumping a brine solution through the piping. “That means there’s quite a lot more ammonia in that building,” Harwood said of the Moore Sports Complex, which is classified ‘high risk’ under the Mechanical Refrigeration Code because of the likelihood of an ammonia leak making its way to the arena stands. “I’d be nervous as hell to go down there,” he said. Ammonia is highly toxic and exposure to a high concentration can be fatal. In January, township council approved $40,000 for a study to “evaluate and begin the process to change the arena refrigeration from a direct ammonia system,” according to council minutes. “We are looking to upgrade to a more environmentally friendly and health-friendly system, so we’ve asked a consultant to come in and commission a study and report back to council,” said St. Clair Township Mayor Steve Arnold. Switching existing ice arena equipment to an alternative refrigerant is not a simple process, according to the Ontario Recreation Facilities Association (ORFA). Arnold said the conversion could cost $5 million, but it will be up to the newly elected council to decide whether to upgrade the cooling system or replace the arena altogether. Rinks across Canada have been under scrutiny after three men died in an ammonia leak at a Fernie, British Columbia rink in 2017. In Goderich, a July inspection deemed the direct ammonia system at Memorial Arena ‘unsafe,’ shuttering the nearly 70-year-old rink and leaving hockey teams scrambling to find alternate ice facilities. 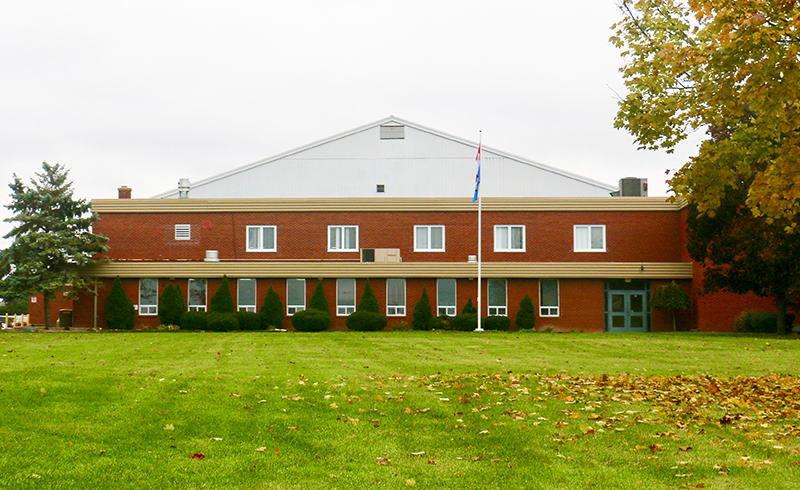 In Prescott, the 50-year-old rink at the Leo Boivin Community Centre was closed permanently after an ammonia leak was found in the ice-making plant. Aside from Mooretown, they were the last two rinks in Ontario — and possibly Canada — still using the aged ammonia system. Neither township officials, the TSSA nor the ORFA could confirm to The Journal if any other Canadian rinks still use it. The local sports complex is a beloved fixture in the community and home to the Junior C Mooretown Flags, along with more than 400 youth playing minor hockey. It was built in two phases beginning in the late 1960s, and a second ice pad, known as ‘rink 2’ was opened in 1975. Meanwhile, Arnold said ‘unusual stresses’ on the roof are another concern that needs to be addressed, in addition to other upgrades suggested by community members, such as updated fitness amenities and possibly a Hall of Fame. “These are not overnight decisions. It’s a comprehensive study that has to take place. Council must have all of that information in order to make a wise decision,” Arnold said. Early estimates for upgrades, including the refrigeration system, roof, and fitness facility are $7 million to $10 million, Arnold said, adding an entirely new arena could cost $60 million. Following the Fernie deaths, a Canadian Press investigation found there is no national standard for how often ammonia refrigeration plants in ice rinks are inspected, and Ontario can require as little as six months between checkups, depending on the previous report.